Faruqi & Faruqi Law Blog: Faruqi & Faruqi Case: Cytec Industries Inc.
Notice is hereby given that Faruqi & Faruqi, LLP has filed a class action lawsuit in the United States District Court for the District of Delaware, case no. 1:15-cv-00891, on behalf of stockholders of Cytec Industries Inc. (“Cytec” or the “Company”) (NYSE: CYT) who held (and continue to hold) Cytec securities acquired on or before July 28, 2015, when the Company agreed to be acquired by Solvay SA (“Solvay”) through Tulip Acquisition Inc. (“Merger Sub”). The complaint charges Cytec, its board of directors, Solvay and Merger Sub with violations of the Securities Exchange Act of 1934 (the “Exchange Act”). On July 28, 2015, Cytec, Solvay, and Merger Sub entered into a definitive Agreement and Plan of Merger (the “Merger Agreement”). Pursuant to the Merger Agreement, the Company’s common stock will be cancelled and converted into the right to receive $75.25 in cash without interest (the “Merger Consideration”). The proposed transaction’s total value is $5.5 billion and is expected to close in the fourth calendar quarter of 2015. The complaint alleges that the Form PREM14A Proxy Statement, which recommended that Cytec stockholders vote in favor of the Merger Agreement, omitted and/or misrepresented material information in contravention of Sections 14(a) and 20(a) of the Exchange Act. The omitted information is material to the impending decision of Cytec stockholders on whether to vote in favor or against the Merger Agreement and/or whether to seek appraisal for their shares. 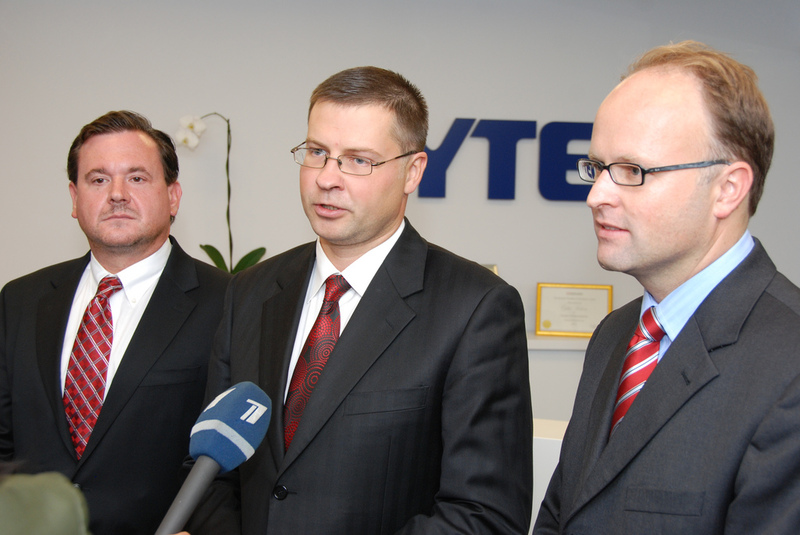 The complaint also alleges that the $75.25 per share offer price is inadequate, the intrinsic value of Cytec’s common stock is materially in excess of the amount offered for those securities in the proposed transaction given the Company’s prospects for future growth and earnings and the value Solvay attributes to its future success based on the merger. Plaintiff is represented by Faruqi & Faruqi, LLP, a law firm with extensive experience in prosecuting class actions, and significant expertise in actions involving corporate fraud. Faruqi & Faruqi, LLP, was founded in 1995 and the firm maintains its principal office in New York City, with offices in Delaware, California, and Pennsylvania. Labels: Cytec Industries, Delaware, Faruqi, Faruqi & Faruqi, Faruqi & Faruqi Law, Faruqi Law, Fraud, Juan E. Monteverde, Lubna Faruqi, Nadeem Faruqi, Solvay SA, Tulip Acquisitions Inc.